We were very lucky in having Dan for a trainer. Our rescued dog, Baxter met Dan and they became buddies immediately. Dan was able to explained clearly and precisely what we needed to do in order to assist Baxter with his behavior issues. 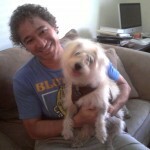 Dan’s guidance, instruction and teachings are valuable to us and vital to our success with Baxter. Just after the first session with Dan, Baxter’s behavior has greatly improved. We strongly recommend him. 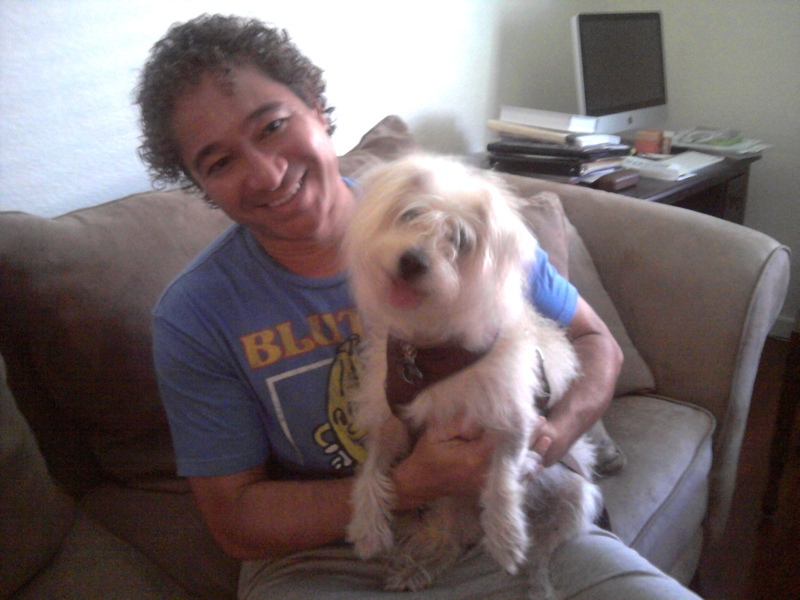 Noel and Baxter. Dan is an exceptionally good instructor. 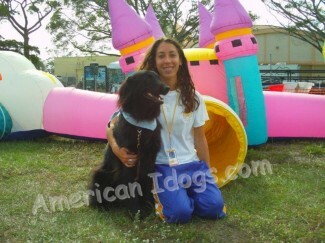 He teaches all levels of obedience from basic training to advanced agility classes. He can also perform the Canine Good Citizen test. He keeps all of his classes interesting by introducing something new each class to keep it fun not just for the dog, but its owner as well. “My dog can now do things I never thought even possible”. You simply cannot find a better instructor anywhere. Dan has done absolute wonders with our female dog. She is a rescue and used to be so aggressive that it was scarey! She truly enjoys herself and other dogs and people, too. It is a real joy to have her in our life and we attribute it all to American IDogs. Thanks to Dan, our aggressive dog Darlah is now well adjusted. 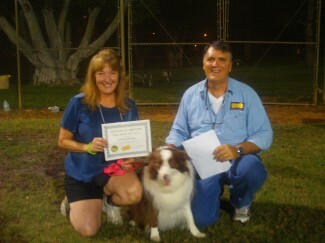 Barbara Camparscone and Alli Plantation Fl. My husband Nick and I rescued Allie in December 2009, she is a Border Collie Mix, now just over a year old. She originated from Puerto Rico, where she was surviving on the streets as a little puppy. When we went to pick her up from the Humane Society of Broward County, she was scared and shaking, but my husband and I were confident we could provide the home and care she needed to be happy and confident. It was slow going, as she was terrified of dogs and people and almost everything else. My 12 year old Border Collie, Trixie, soon became her role model. 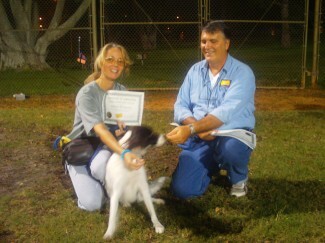 Allie and I took our first dog training class (Clicker Training Level 1 with Daniel Ratay of the American Idogs) in September of 2010 and received the Certificate of completion with honor. I was not sure if Allie would be able to attend a class, in a strange environment, with strange dogs and people; however, we decided to try; and I’m glad we did. Daniel and Chantal, both have such a positive energy, and with Daniel’s profound knowledge of dogs, Allie little worried mind was put to ease. Each class was such an enjoyable experience, even with the trials and tribulations, of learning something brand new, when you have no coordination. Daniel made the learning fun. We are very fortunate to have such an experienced dog trainer, with creative and fun teaching abilities, offering these classes in our neighborhood. 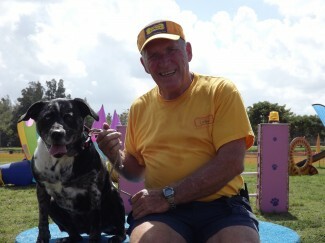 Daniel taught us, that with the right attitude, energy, coordination and timing, the possibilities with your dog are endless. The bond with my dog increased in leaps and bounds. I learned the three basic commands of Look, Touch and Follow…then the rest of the training begins to fall into place. Allie’s confidence more than doubled and her trust in other dogs and people has improved tenfold. We learned so much, that we continue taking the classes, as well as the Saturday Membership. We also volunteer to help with the annual shows. This is Allie’s Mom, Barbara. We have been taking Dan’s class for over a year now and look forward to going every time. Allie is learning in leaps and bounds after learning the positive training techniques we learn from Daniel. Each class has reinforcements of important learned behavior as well as many new creative skills, games and challenges including agility. If you love hanging out with your furry best friend, what are you waiting for? Sign up for these great classes! 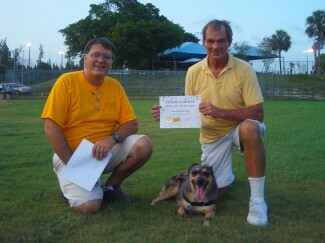 My husband and I, along with our 9 month old Rottie, Bear, just completed our Basic training with Dan. He is an amazing trainer and we look forward to many years working with him. I would highly recommend him to any dog owner! He is the BEST!